We love weddings and we know it's an extraordinary privilege to be a part of your wedding day. 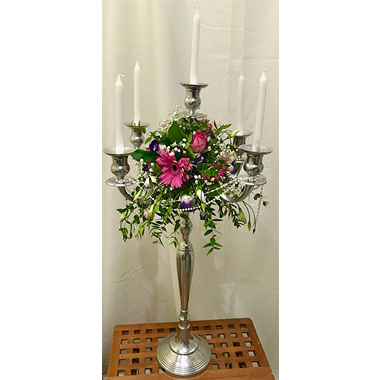 We aim to make the whole process relaxed and fun, designing and creating your wedding flowers to ensure they are a true reflection of you as a couple. When you're planning your wedding, we know there is much to think about, whether you are dreaming of a Traditional, Modern, Ethereal Whites, Country Brights or Funky wedding design, we will make it happen. Start your experience by making an appointment with Karon. An understanding of your desired theme and style can be realised with our wealth of knowledge and expertise. If you are looking for a bit of inspiration we can give you lots of ideas and suggestions and help you decide on your perfect flowers. Whether yours is an intimate gathering or a large ceremony, spectacular arrangements will be designed. We will liaise with wedding planners at all wedding venues and our suppliers in Sheffield ensure quality across the seasons. 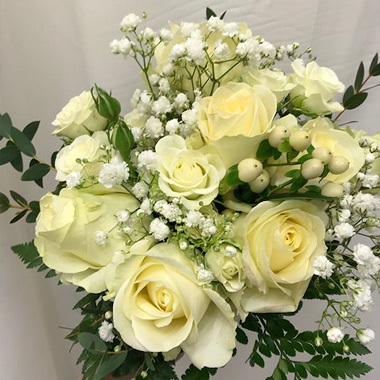 We are often asked how much it is for a wedding bouquet, and then for Bridesmaids’, for buttonholes etc… it is quite difficult to give a set price because each couple have certain preferences for flowers, size of bouquets, choice of flowers and so the differences can continue. It is so individual and governed by your preferences and budget. Whatever you have in mind we are sure we can meet your expectations. We do have a range of wedding accessories which we are happy to hire out. This can also take place even if we are not involved in creating the arrangements. Don’t hesitate to get in touch with us for further information.